This recipe matches the time of year greatly and will definitely impress one of you’re coming guests, try this recipe today with its easy directions! 1.) In a large bowl add your butter and vodka, Mix together well. Then add sugar and mix again. After add sifted flour to a separate bow and combine that bowl with your butter mixture. 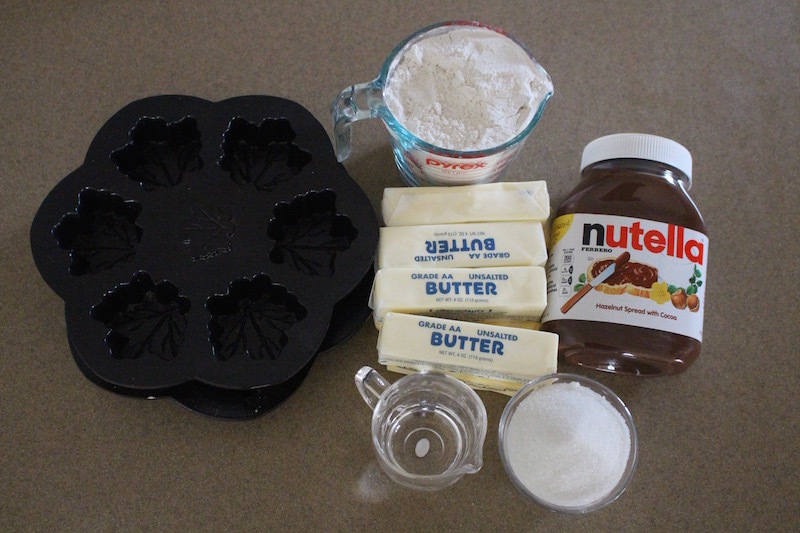 Mix together again until you have a dough. Kneed the dough on a lightly floured surface until it is smooth and elastic. Shape your dough into small sphere. 2.) 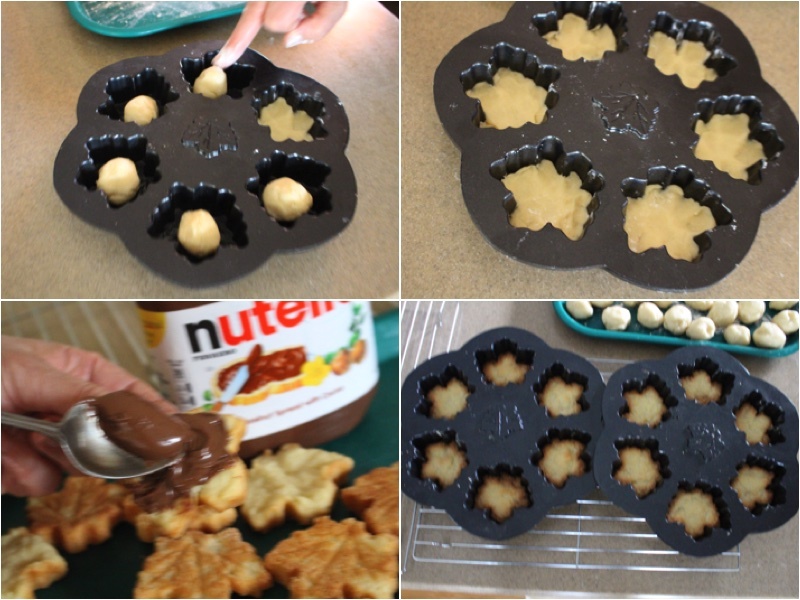 Drop your dough spheres into your forms and press them down to the corners. Bake for 25 Minutes on 350F. After take them out and let them cool. 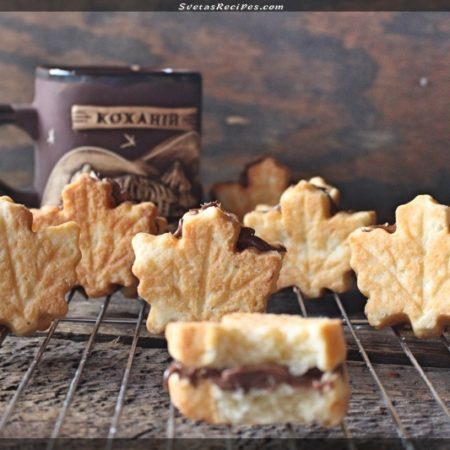 Spread Nutella into the middle of the maple leaf, then push the other have to it so they stick. Place on a serving dish and enjoy! This recipe matches the time of year greatly and will definitely impress one of you're coming guests, try this recipe today with its easy directions! In a large bowl add your butter and vodka, Mix together well. Then add sugar and mix again. After add sifted flour to a separate bow and combine that bowl with your butter mixture. Mix together again until you have a dough. Kneed the dough on a lightly floured surface until it is smooth and elastic. 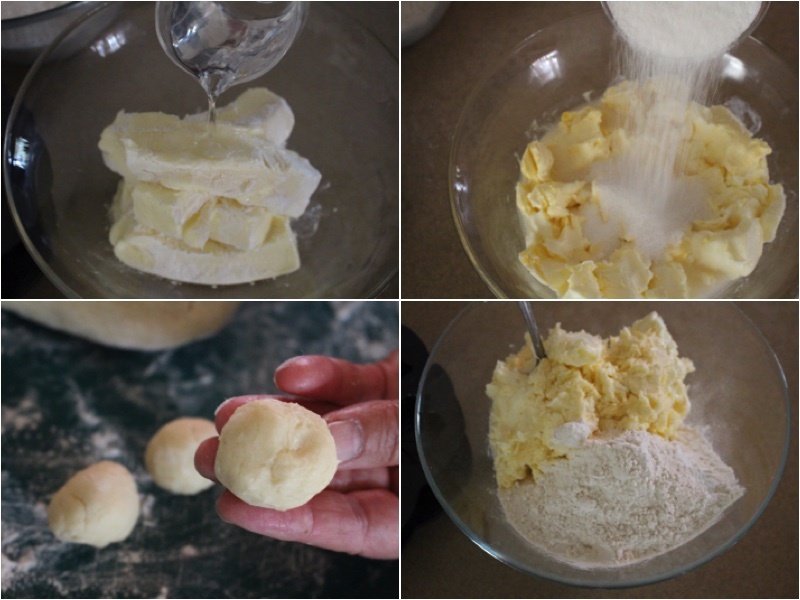 Shape your dough into small sphere. Drop your dough spheres into your forms and press them down to the corners. Bake for 25 Minutes on 350F. After take them out and let them cool. 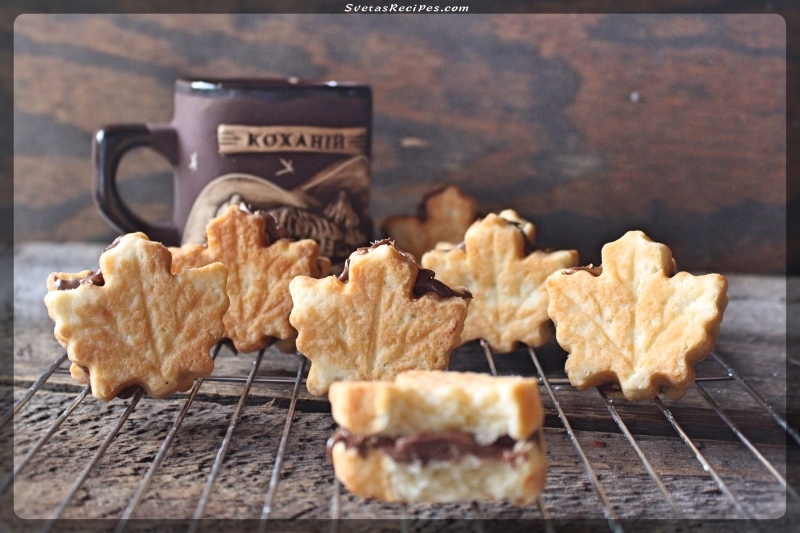 Spread Nutella into the middle of the maple leaf, then push the other have to it so they stick. Place on a serving dish and enjoy! How much is one pack of margarine and butter?